Delhi Gourmet Club, Delhi-NCR’s premier food club and Groupon India has introduced an incredible offer for the food lovers in Delhi. They have come up with ‘The Gourmet Studio’, an initiative that aims to feature the culinary expertise of the Top Chef’s of India. Starting with Chef Vaibhav Bhargava of Pan Asian – Sheraton Delhi; the campaign brings foodies a specially curated six-course tasting menu. I feel privileged to be a part of the launch with the stalwarts Atul Sikand and Sourish Bhattacharya from Delhi Gourmet Club; Ankur Warikoo, CEO Groupon India and other well know food bloggers in Delhi. The food journey started with a brief description about the dishes on offer by the very talented Chef Vaibhav Bhargava. Being a devoted chef with signature recipes to his credit, Chef Vaibhav, has worked with worldlier diners like Zuma, a contemporary Japanese restaurant and Noma, a two Michelin star restaurant as a stagier for a month. The Chef surpassed all the expectations. 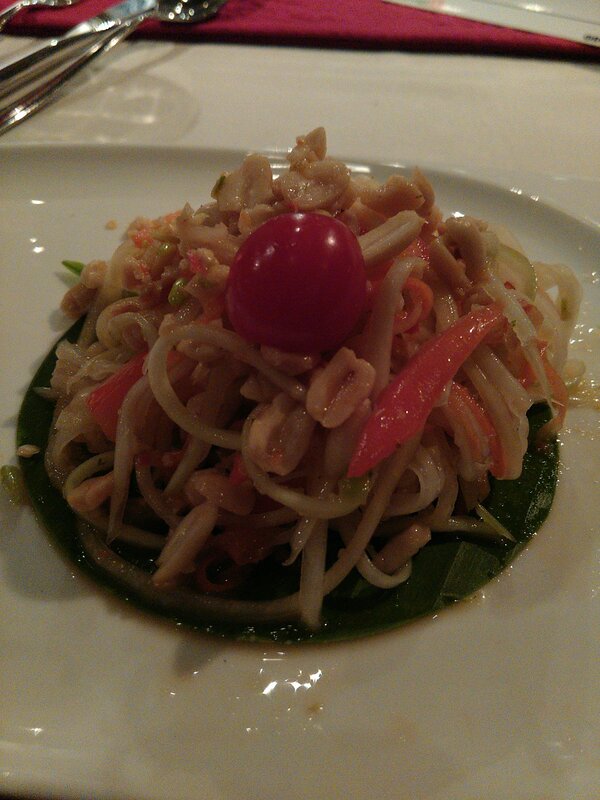 The food served at Pan Asian-Sheraton Delhi was highly commendable. 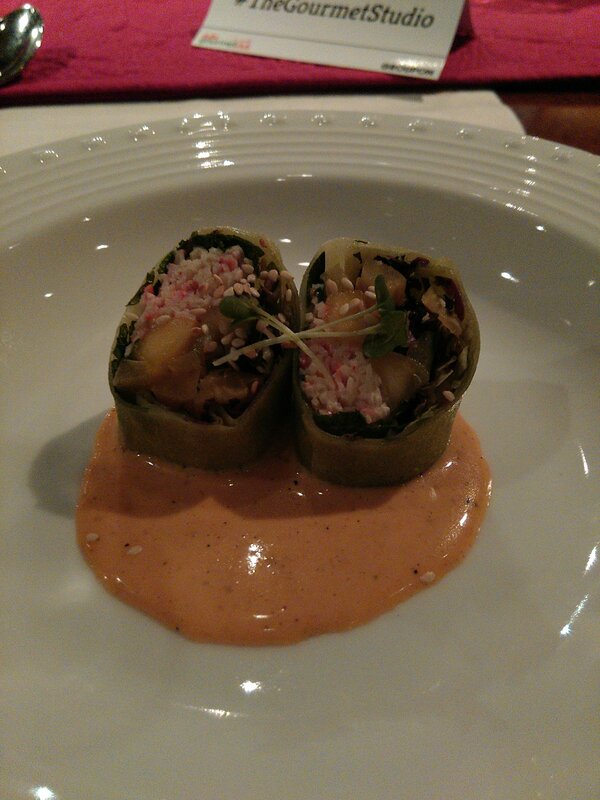 Although not part of the tasting menu, we were served summer roll with crab and mango in a pool of chili mayo. Mango added the right twist to the roll. In soup, I had Tom Yum Soup, Thailand’s most famous soup. It had distinct hot and sour flavours. I am not a sushi person. But the sushi which I had at Pan Asian was one to die for. Vegetarians can chose to have either a Japanese roll or an Asparagus Tempura roll and non vegetarians could try spicy salmon roll and California roll. 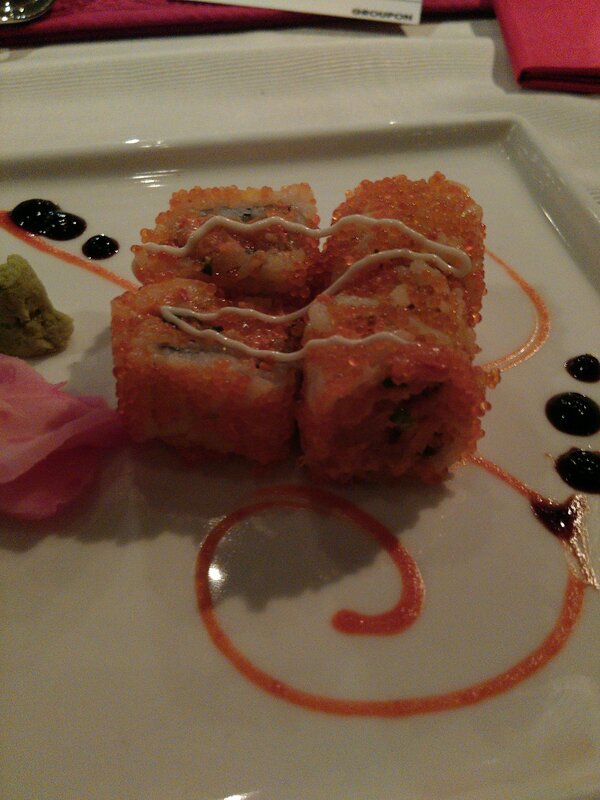 I opted for California roll, rolled simply to perfection. The other bloggers on the table quipped silently that the chef has mastered the art of making great sushis at Guppy by ai. In the main course, I had Teppanyaki Lamb Coriander, which was excellent in taste- tender and succulent pieces of lamb cooked in mild spices. The food journey ended with Pan Asian fantasy platter and Hot toffee pudding. The specially curated menu by Chef Vaibhav starts at unbelievable price of Rs 1199 on Groupon. Click here to watch Chef Vaibhav giving customers a sneak-peek of what they can expect at this memorable dining affair.